John Feinberg is one of the premier evangelical scholars of the last thirty years. His work has influenced countless pastors, scholars, ethicists, and theologians. 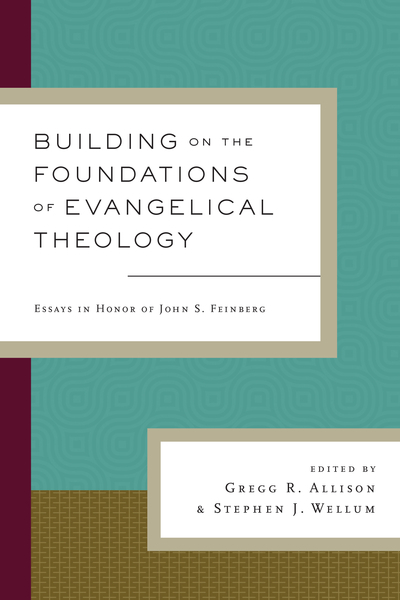 Featuring essays by a host of colleagues and former students, such as Graham A. Cole, Bruce A. Ware, Walter C. Kaiser Jr., Kevin J. Vanhoozer, Robert L. Saucy, and John F. Kilner, this anthology stands as a testament to Feinberg’s enduring legacy and theological acumen. Three sections focusing on the architecture, foundation, and superstructure of evangelical theology offer a coherent, helpful framework for these important essays.